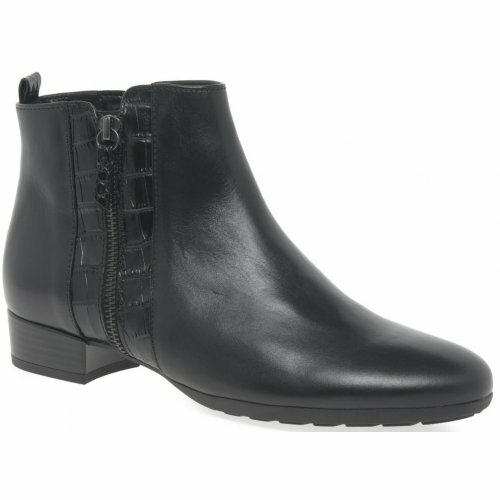 Gabor Rundle 713 is a ladies ankle boot. It features a soft, smooth leather upper with micro-fiber linings and in-socks which help to keep feet comfy and warm. The zip on the inner side of the boot allows for a secure fit when walking, whilst the zip on the outer side of the boot, teamed with croc detailing makes for a stylish boot. A 2.5 cm heel also adds slight elevation, making Gabor Rundle 713 a great everyday boot!